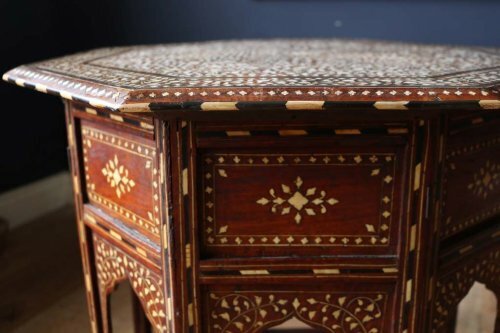 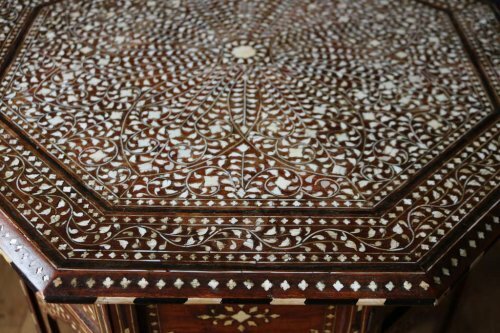 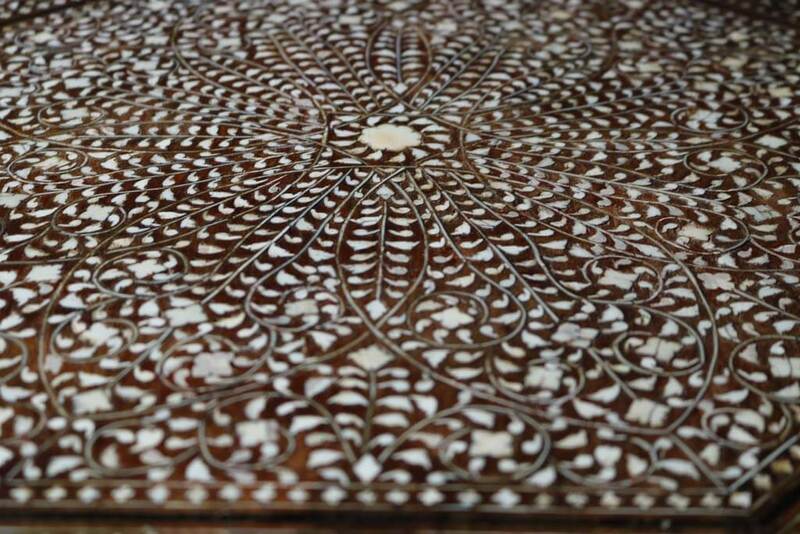 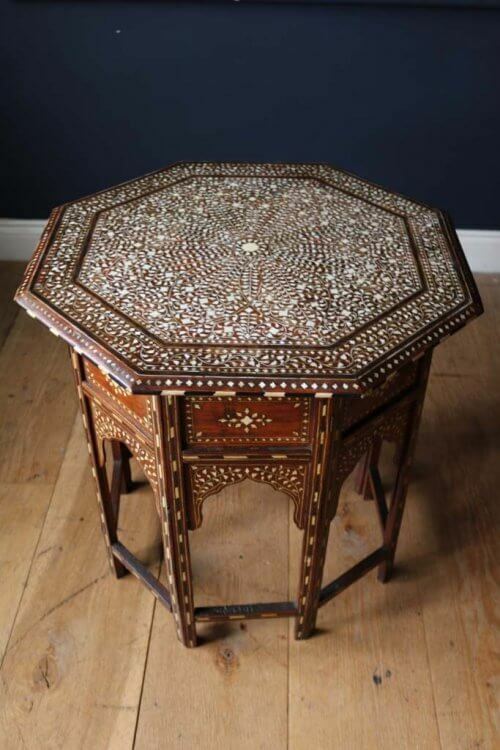 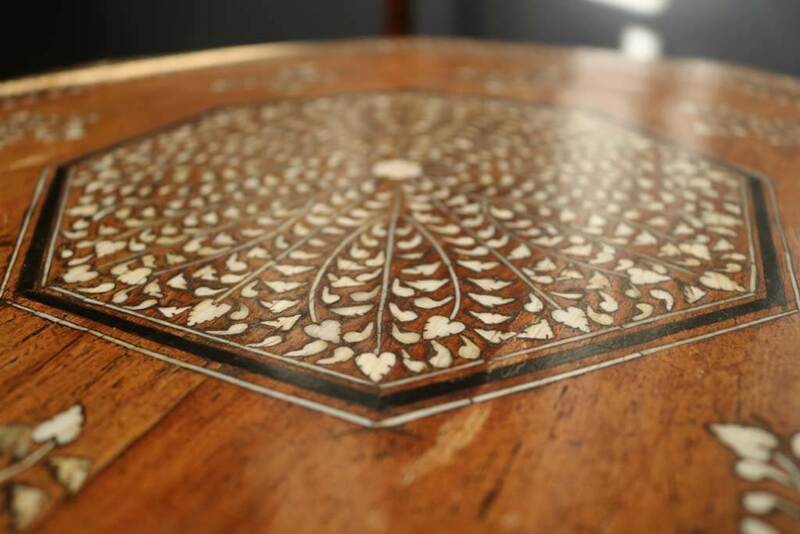 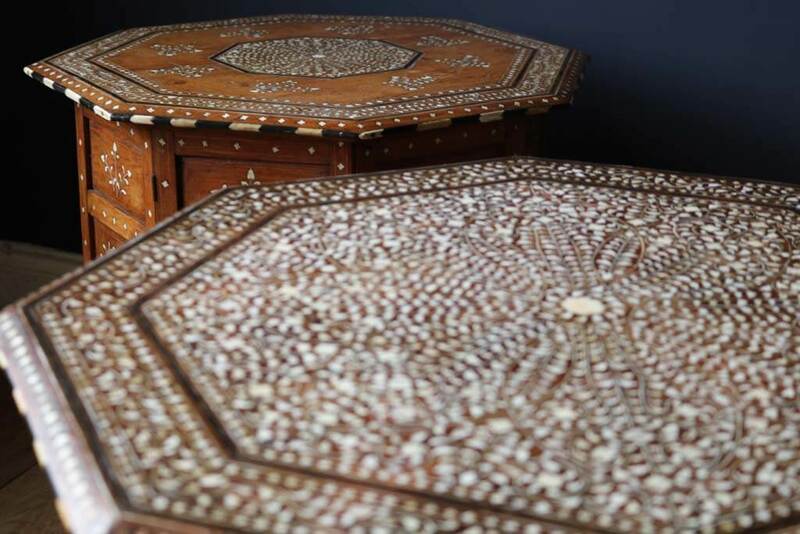 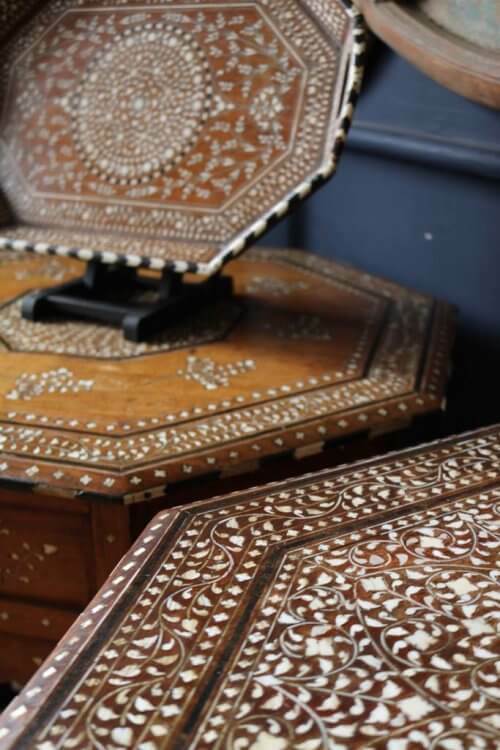 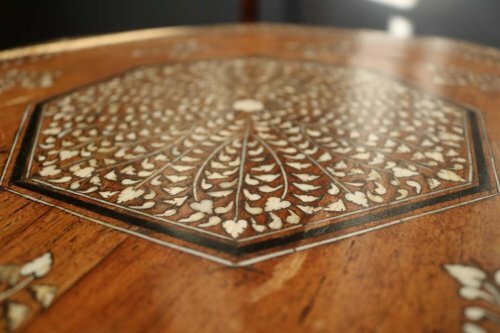 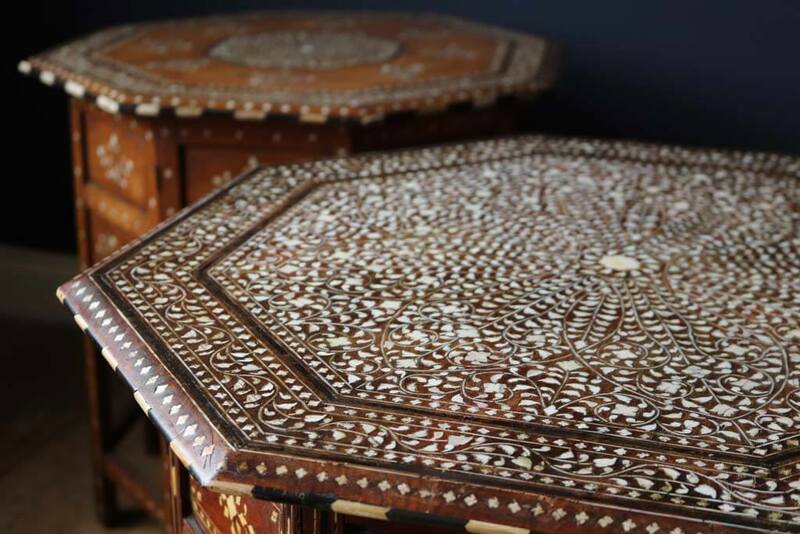 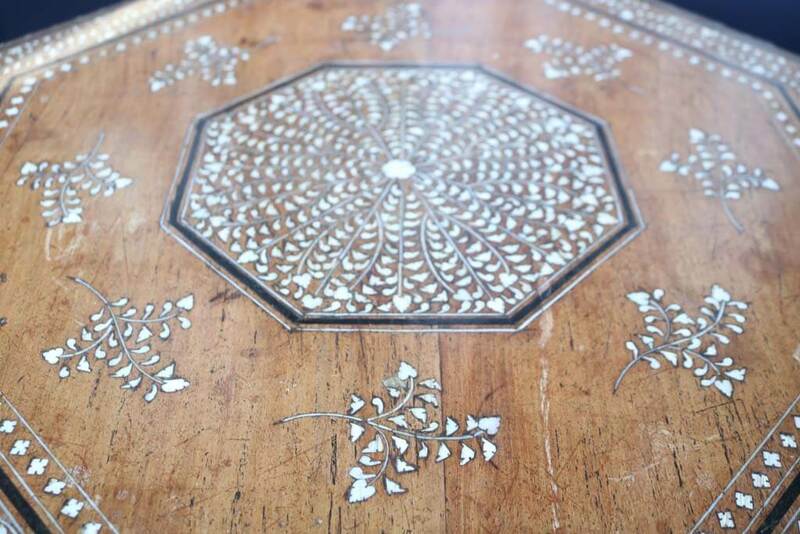 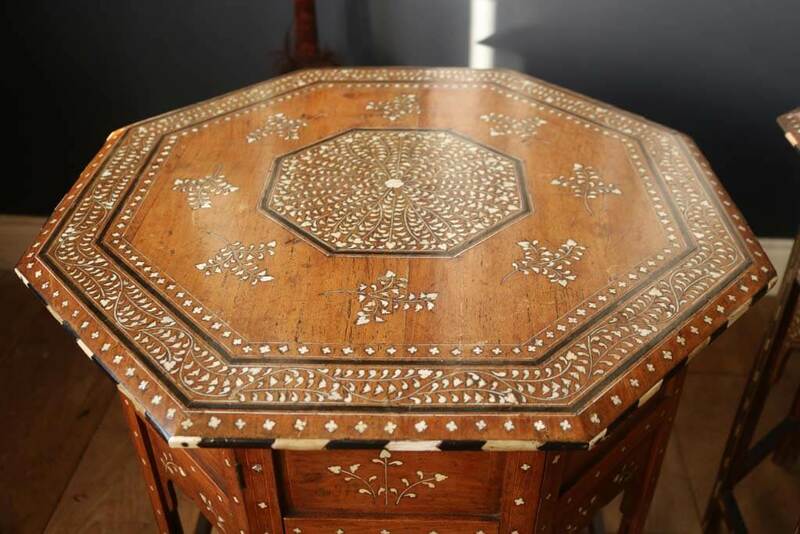 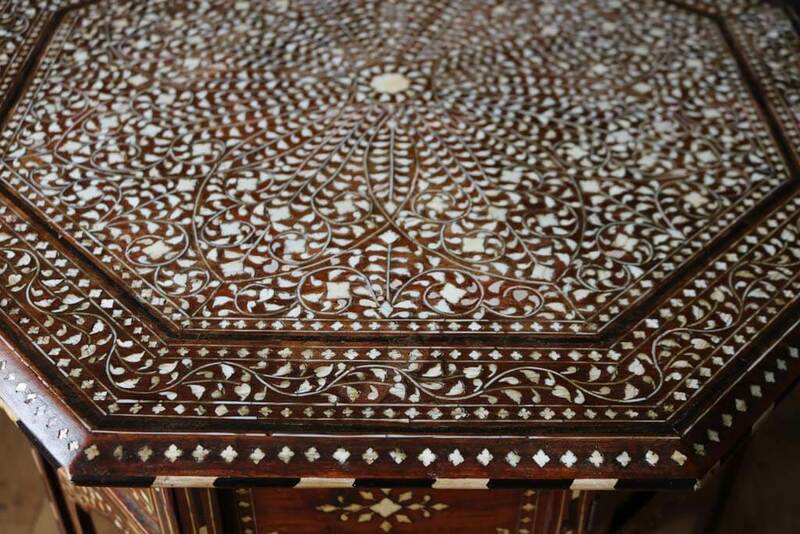 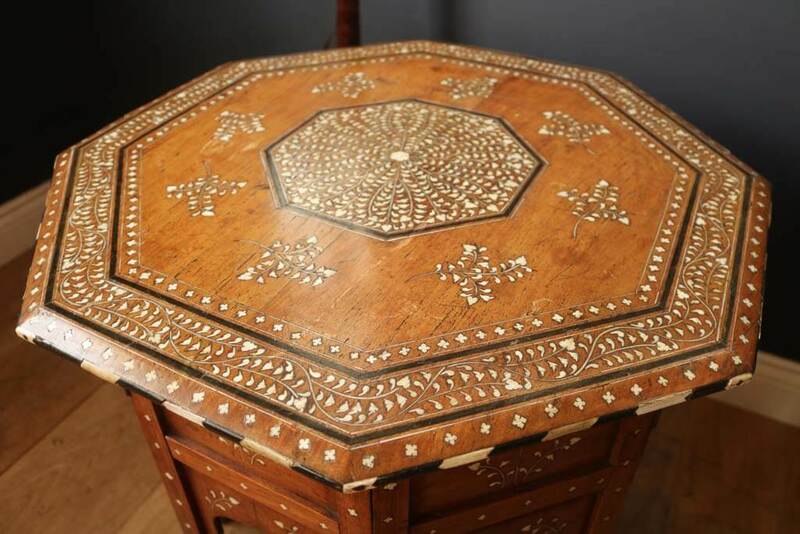 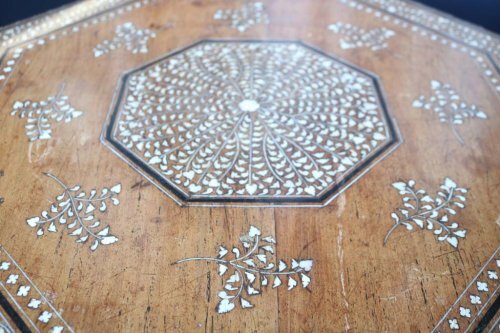 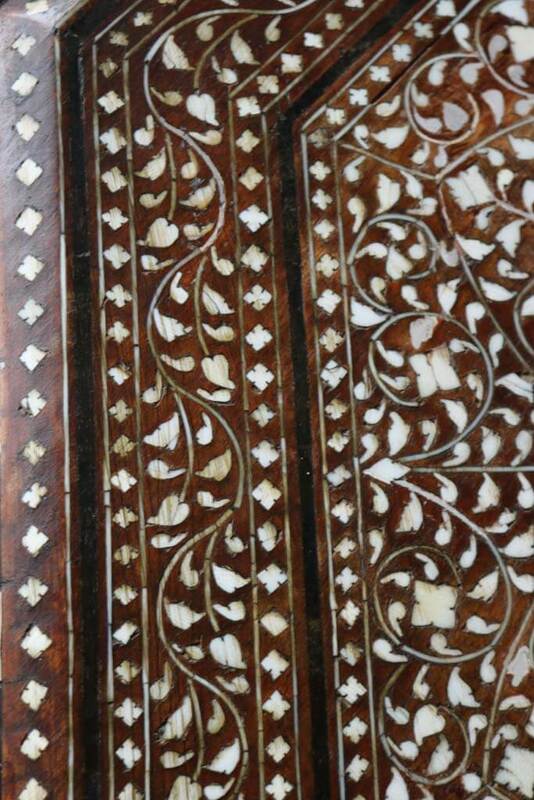 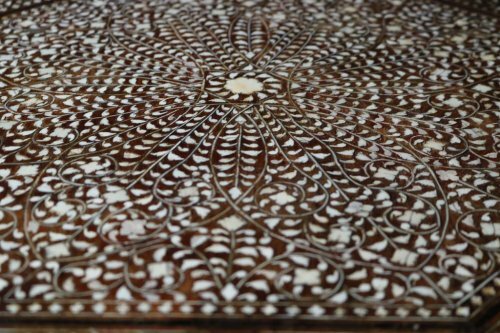 Two superb quality and highly decorative 19th century ivory inlaid hardwood Anglo Indian octagonal table with folding base from the Hoshiarpur area renowned for their superb and intricate inlay work. 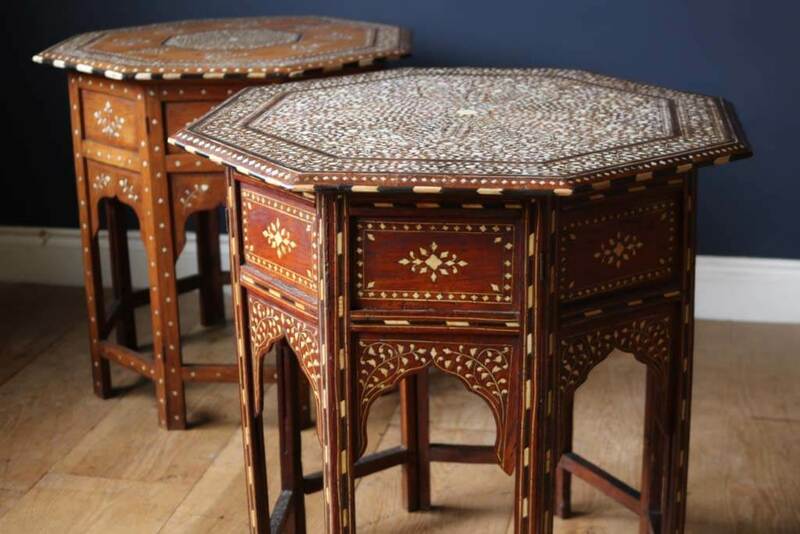 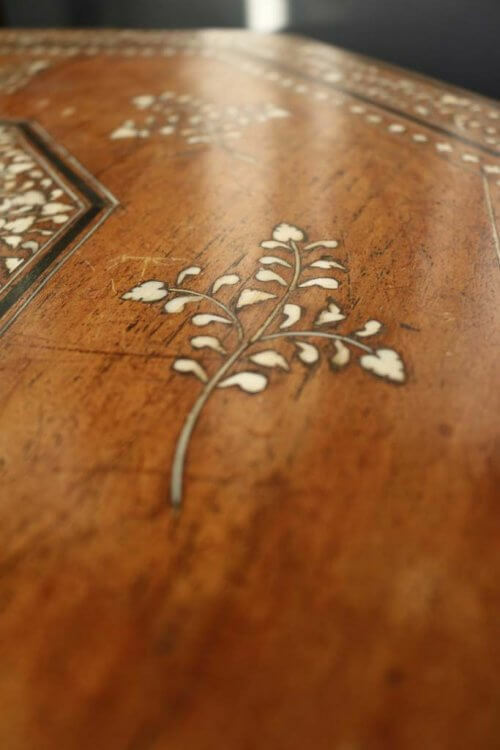 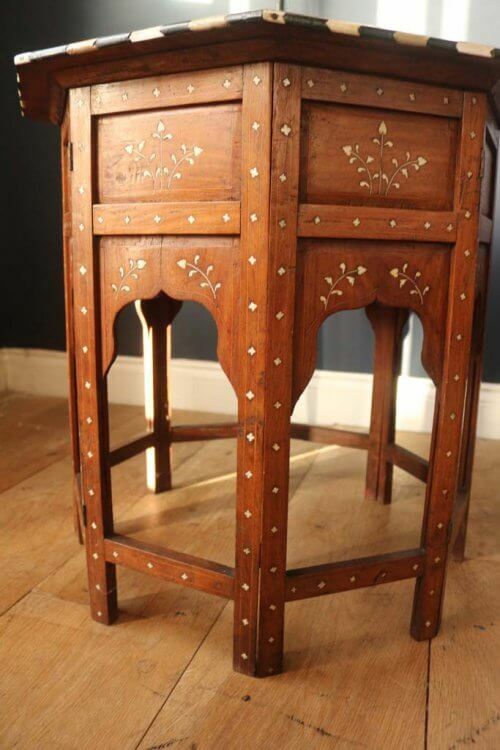 These tables consists of an octagonal top with beautifully inlaid in a tradition mogul style, this leads down to eight sided folding base in a Morrish style with arch supports and Indian hardwood and ivory decoration, the base of the table folds up as each panel is hinged. 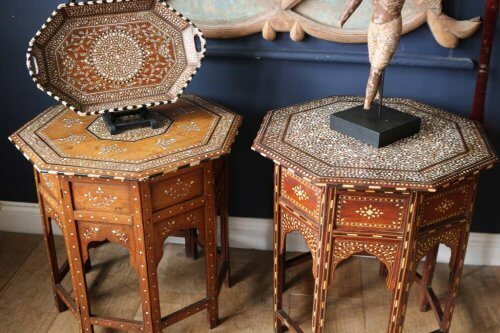 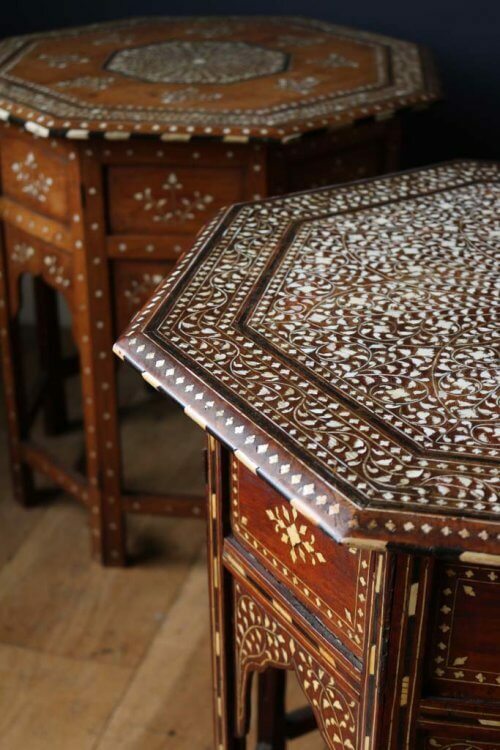 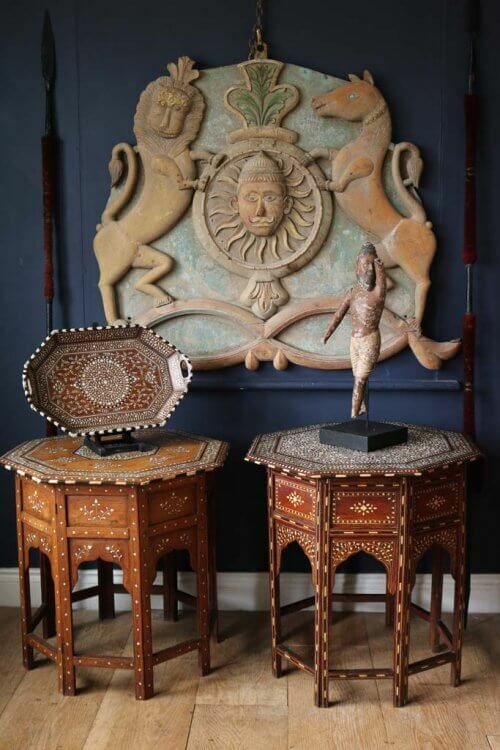 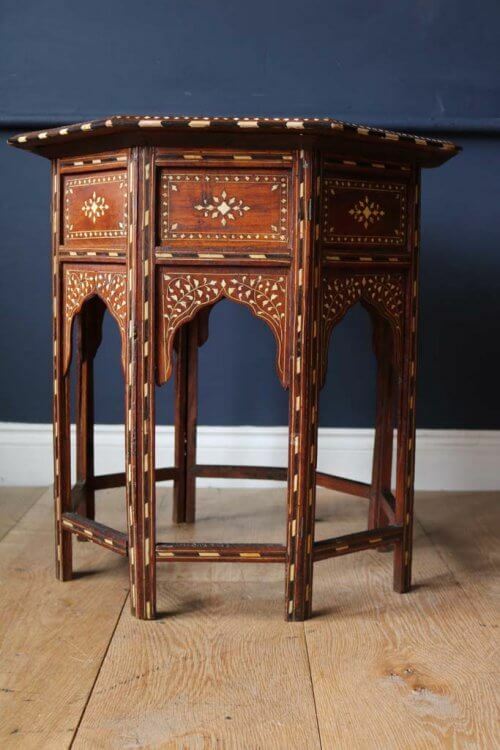 Priced for the two at £2000.00 or they could be bought individually the one with the more profuse inlaid top is priced at £1250.00 and the lighter coloured and less inlaid top one could be £700.00.